was formed in 1951 in Seinäjoki, a city in South Ostrobothnia. 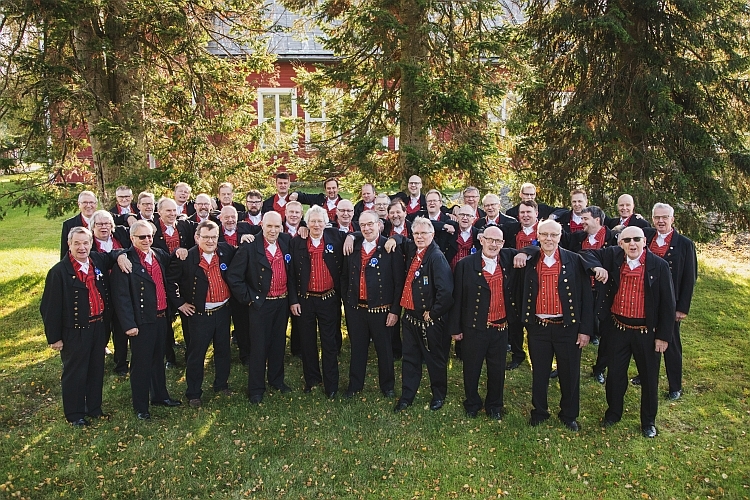 Jussit is still the only provincial choir in Finland, a choir that assembles men to rehearsals and performances from all over the large region of Ostrobothnia. Jussit sings mostly traditional choral music and regional folk songs, but also modern choral music is performed regularly. The choir consists of over 50 men and gives several concerts yearly in Finland and sometimes also abroad. Members of the choir have also formed smaller groups that perform frequently. Jussit has released 15 recordings to date: LPs, singles, cassettes, CDs and a DVD. The choir has taken part in several festivals and competitions in Europe, the United States of America and Canada with great success. The choir has also visited China, Japan and Australia, among others. JUHA HOLMA (born 1960) is a talented Finnish composer and conductor. He has been conducting various choirs in Finland for almost 40 years and was invited to conduct Jussit since the beginning of 2017. Juha Holma works as a primary school teacher in the city of Ylöjärvi, next to Tampere.